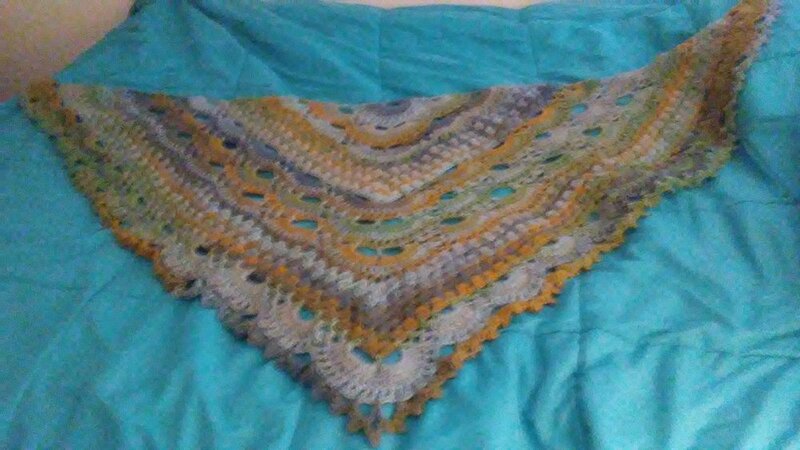 Finished this shawl today. The pattern is Granny Meets Virus Shawl and it's done with Red Heart Colorscapes yarn in Bangkok colorway. I've added a picot edging. I am half Thai so felt called to make it! Beautiful work! The the long color runs worked perfectly with that pattern too. Beautiful shawl and wear it proudly. I never tire of seeing this pattern. The shawl is beautiful! And on a personal note, having had two Thai exchange students in the past, I think Thai folks are among the kindest, humblest, sweetest folks on earth!